I’m not going to lie: I was absolutely giddy when I heard that this book was being published, because if there’s anything I enjoy most, it’s external validation of my life choices. In a world obsessed with baby bumps, this book by Meghan Daum is a breath of fresh air. 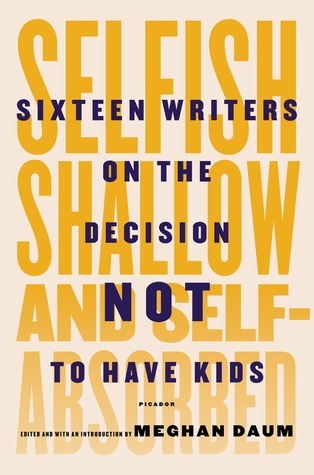 Selfish, Shallow, and Self-Absorbed is a collection of essays by renowned writers who have made the conscious decision not to have kids. I approve of the label “childfree,” because not only does it separate the rebels from the infertile, it also connotes a sense of liberation rather than lacking. Although they have all made their living with their writing, these authors–mostly female but a few male–each come from different backgrounds. Some never felt a maternal or paternal urge, and others desperately wanted to want children but couldn’t muster enough enthusiasm to go through with it. Quite a few actually became pregnant and decided to abort than risk raising children they didn’t want. Obviously, the subject matter is highly controversial, but that is Daum’s strength. Her previous book Unspeakable also covers taboo topics, such as feeling relief after a parent’s death. 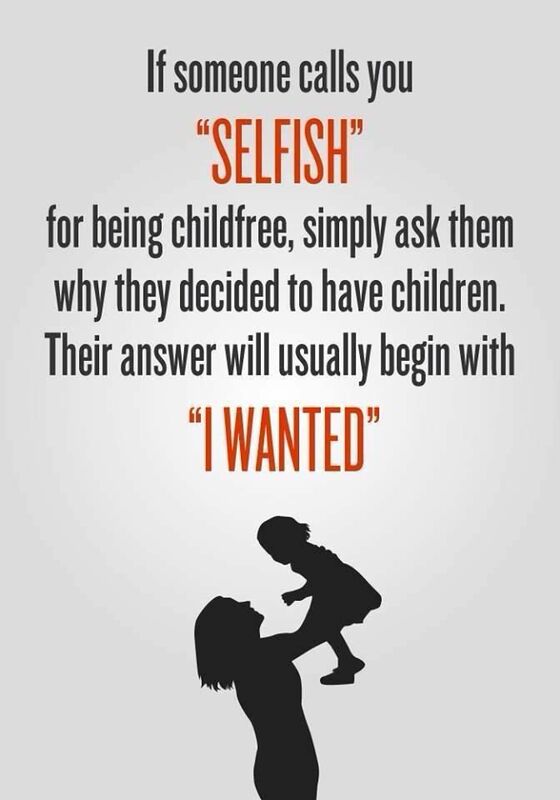 Selfish, Shallow, and Self-Absorbed is perfectly titled, because that’s the characterization of the childfree that self-righteous, anti-choice parents have created. These 16 writers revel in their perceived selfishness, arguing that parenthood is governed by its own selfishness and that there is nothing wrong with valuing a good night’s sleep over making a mini-me. 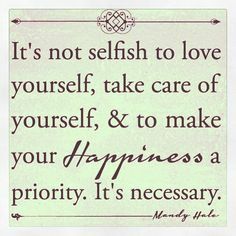 We’re all selfish at heart! That’s not to say that these writers hate children; on the contrary, most relish their roles as cool aunts and uncles. Some are even step-parents, teachers, or have otherwise surrounded themselves with kids. They just get the bonus of not having to define their entire identities around them. My only complaint is that most of these people suffered heartbreaking childhoods, many with neglectful or abusive parents. Although it’s certainly a valid reason to become childfree to save yourself from making your own parents’ mistakes, I would have liked to read more well-adjusted stories. Not all childfree folks are dependent on Prozac and Valium, and while there should be no shame in mental illness, I’d hate parents to assume that we’re all damaged from our traumatic pasts. As a childfree woman myself, I recognize that this book is not for everybody, but its audience is so appreciative for its existence. It can be downright infuriating to face the endless barrage of judgments (You don’t know what you want! You’ll change your mind! You just haven’t met the right person yet! ), especially for those of us who have made this decision early in life. Selfish may be preaching to the choir, but I’m grateful nonetheless. If you dream of being a parent, fantastic. Someone has to further the human race, because I don’t want to. And guess what? That’s the only reason that should matter. This entry was posted in Book Review and tagged book review, childfree, Meghan Daum, Selfish Shallow and Self-Absorbed by Book Club Babe. Bookmark the permalink.